We pick up right where we left off. 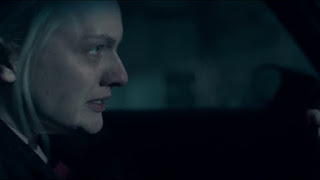 June (Elisabeth Moss) isn’t quite as alone as she thought she was. Get ready for a little Boss. As usual the music is the perfect Bruce Springsteen song. Serena (Yvonne Strahovski) is furious. Fred (Joseph Fiennes) proves he is a poor judge of character. Watch for a battle royale between the two. June misses an opportunity. June burns some rubber and encounters some less than friendly wildlife. Flashbacks are back. We get glimpses of Hannah (Jordana Blake), Moira (Samira Wiley) and Luke (O-T Fagbenle), and Cherry Jones is back! We learn more about what June’s mother. June and Holly disagree, and June proves to be an excellent judge of character. June draws comfort from an unexpected memory. 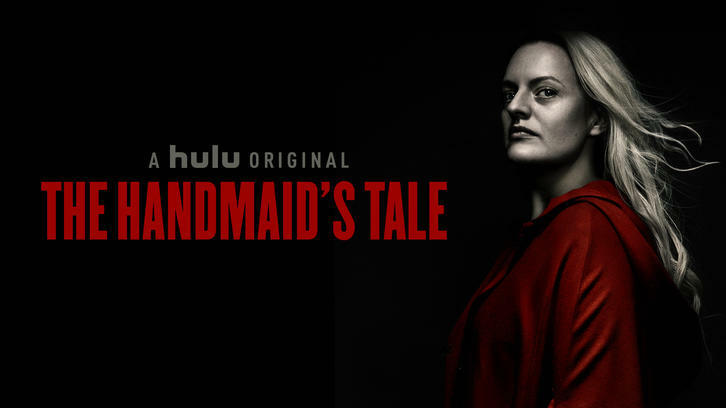 The episode is almost entirely an Elisabeth Moss tour de force. If she doesn’t win all the awards for everything this year there is something seriously wrong. This episode drops June 27th – you won’t want to miss it! A very few dialogue teases…. I’m sorry there’s so much pain in this story. I did this to fix your mess. Stars and Stripes forever, baby! Just don’t bring up baseball, you should be alright. Panicking is not going to do us any good. I believe you into being.